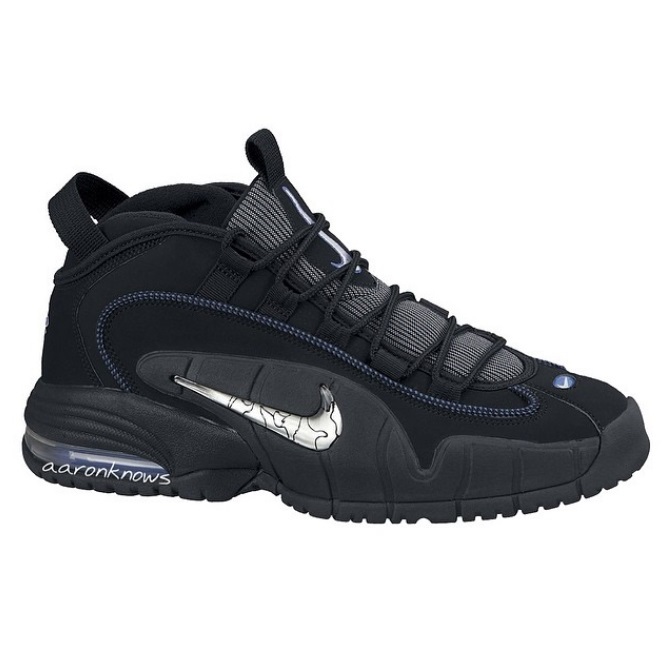 True to it’s original form, the Nike Air Penny 1 ‘All Star’ is available now at all the major retailers below for $140. Much like the OG Orlando colorway, these feature hints of royal blue throughout, but with all the white parts blacked-out. If you’re interested in how these perform, Nightwing reviewed the Penny 1 back in 2012, which you can check out at this link. Click on any of the links below to purchase a pair. Been waiting on these for dawn near 20 yrs. Thought Nike and the whole world forgot. Hopefully the Hype boys won’t jump on them and I can sneak them for 100 or so. Copped em, i’ve been needing a pair of penny 1s but refused to buy the og orlando colorway from a reseller, proud to say i will pick up my pair in store later today! and the winners circle coupons DO work for these so use em! and be sure to do it and check out as a guest because ive heard and experienced difficulties with trying to use the coupons while being signed in, just a heads up! Good to hear! I was told by a rep that that confirmed the problem right now with winner’s circle rewards; you have to check out as guest to use them. Picked these up today. I could never afford these back in 1995 (the OG’s), and all I could do was look at the shows while the other kids wore them. Now, I can actually afford them! I can’t wait to play in these! Oh and for those picking up these shoes, I wear a size 9 normally, but when I tried the size 9, it was a little big so I had to go down half a size for a better fit.